At Federal Protection, we’ve been in the video surveillance field since the days of film reels. Thankfully, the need to scour over every frame of a big reel is well behind us. Today, digital cameras, IP cameras, and hybrid video recorders let us capture every moment, increasing your operation’s efficiency. 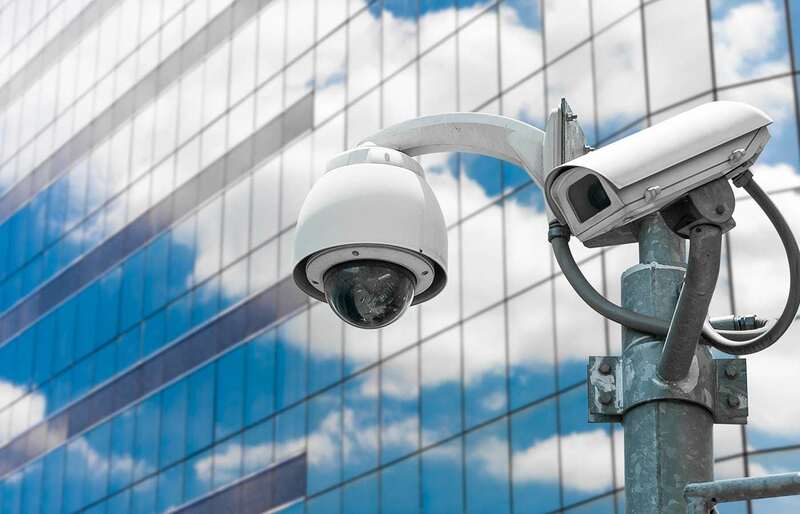 Utilizing the latest hybrid video systems, our surveillance experts can also track advanced video analytics and provide Internet accessibility so you can access your surveillance video online anywhere, any time. Since 1969, Federal Protection has been dedicated to protecting every client, however large or small the business. We currently provide hybrid video surveillance for businesses ranging in size from single-room offices to expansive buildings with hundreds of entry points. After conducting a comprehensive site assessment to understand your needs, we will design the surveillance plan that’s best for your environment. The Federal Response Center is equipped with an incredibly powerful IT infrastructure and technology. Our ongoing investment in technology ensures that our security specialists have the framework needed to monitor, record, and review video from every camera in your office or commercial building. You can also rest assured that no footage will be lost – we can host every second of hybrid video on our secure servers with multi-site data backup in case of server failure. HIGH-DEFINITION PROTECTION AND MONITORING FOR EVERY BUSINESS. THAT’S THE FEDERAL DIFFERENCE.